We are experts in translating legal documents from English to other languages, like Afrikaans. Many people often ask us the following question: Surely if the law requires readers to be able to understand a legal document, it must be in more than one language? This is a very valid question. In South Africa, we have even 11 official languages and if most of the readers of a legal document are Afrikaans speaking, it makes sense that the document really should be in Afrikaans. And it should be in plain Afrikaans, not Afrikaans legalese. The law requires some documents (like statutes) to be in multiple languages. But practically it can be hard for an organisation to do this. It can be very costly and time-consuming to have a document in multiple plain languages. So, what we recommend is that organisations first ensure that they have the plain English version of a document. That is always the first step. Once that has been achieved and preferably it has been tested with the readers, then an organisation can consider translating that document into another language, like Afrikaans. A point to consider. 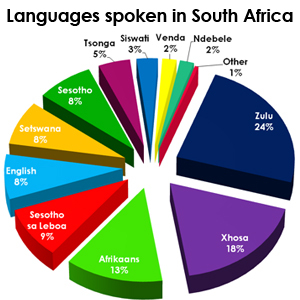 If South Africa has 11 official languages, why on earth would anyone want to use another language which is not one of those in a legal document. It is just crazy to use Latin or French in a South African legal document. is also an expert in plain legal language. It is crucial to get the legal terminology correct. We have the right people for the job.